Wildlife bosses are scratching their heads after an ultra-rare jet black seal was born at their nature reserve - to grey-coloured parents. Wildlife bosses are scratching their heads after an ultra-rare jet black seal was born at their nature reserve – to grey-coloured parents. 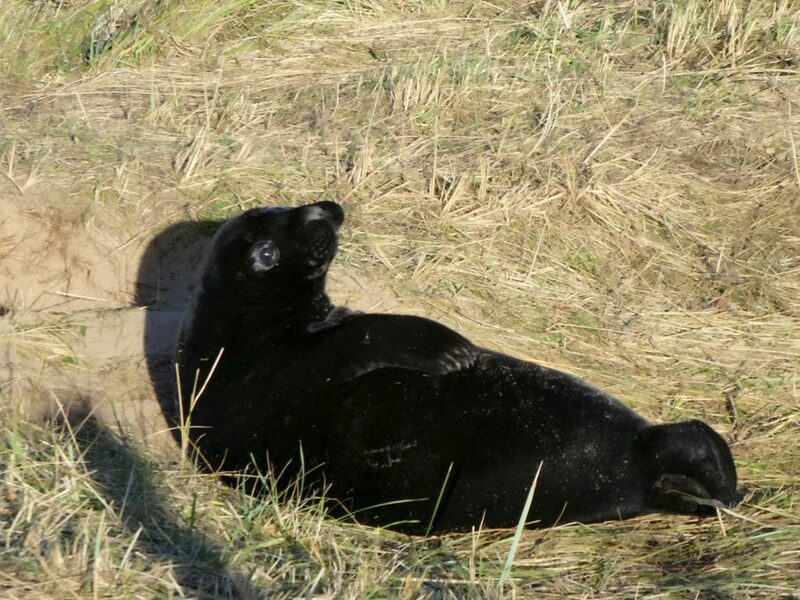 The rare melanistic seal pup stuck out like a sore thumb amongst 1,200 light-coloured newborns during breeding season. 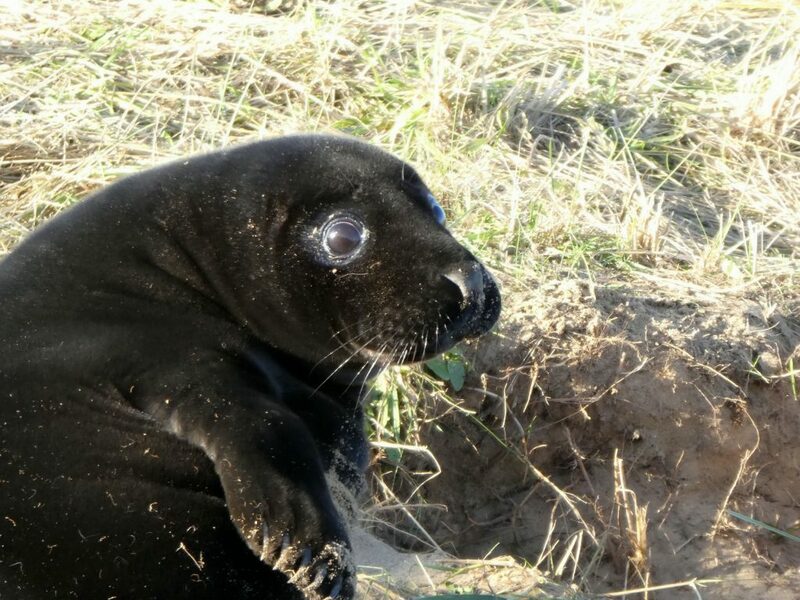 But experts at Donna Nook Nature Reserve in East Yorkshire have no idea why this pup has been born with black fur – as both its parents are typically light in colour. 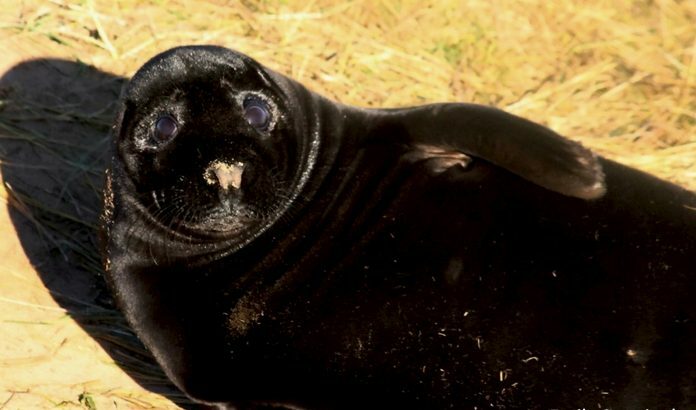 Wildlife bosses are scratching their heads after an ultra-rare jet black seal was born at their nature reserve – to white-coloured parents. 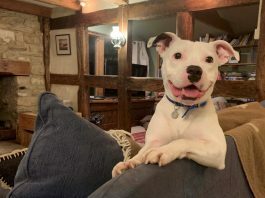 Marine biologist Emily Cunningham, 27, said: “I just couldn’t believe it when I saw the pup – I was just like ‘wow’. “It is a melanistic seal pup which gives it that beautiful black coat – about 1 in 400 grey seals have this colour form. Sightings of black seals are rare worldwide, but experts say sometimes the oddly-coloured pups often struggling to survive. Rachel Shaw at Lincolnshire Wildlife Trust said: “I can confirm that the seal has been spotted by the wardens and visitors to the park. Speaking about the colouring of the seal, she added: “It’s a genetic thing – just like we as humans have different hair and eye colour. 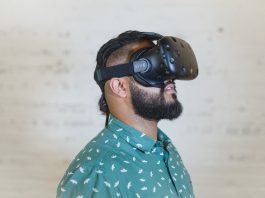 “We have seen them here before – but it is very rare.